The Canadian teen’s love for #Tennis developed when he was five years old. His mother #Tessa opened her own tennis club in #Vaughan, #Ontario, to help give him a home base to train at and to teach the game to other juniors. Fast forward to 2018 and his mum is still his coach, alongside #MartinLaurendeau. And despite only having a short career so far, #Shapovalov is already enjoying his fair share of success. 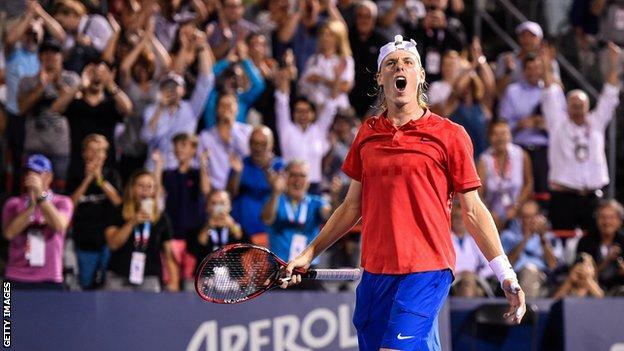 Shapovalov was a semi-finalist at the 2017 Canadian Open, beating tennis powerhouses Juan Martín del Potro and #Rafael #Nadal during his run. Earlier this week, he reached a career-high world ranking of number 45 following a successful run in the Delray Beach Open – landing the highest-ever ranking for a #Canadian teenager.